Amazon hasn’t been content with just being an online retailer of such massive proportions (and Cow Tale sales) and extensive customer base that it could constitute its very own economy/country. 10 years ago, it rolled out its own VOD service, Amazon Video, whose programming arm has turned it into a real awards contender with shows like Transparent. Amazon Prime members have also had access to a free music-streaming component to the site, which grants them listening privileges for two million tunes. But now, according to Forbes, the retail giant’s unveiled a standalone music-streaming service that’s available to everyone. 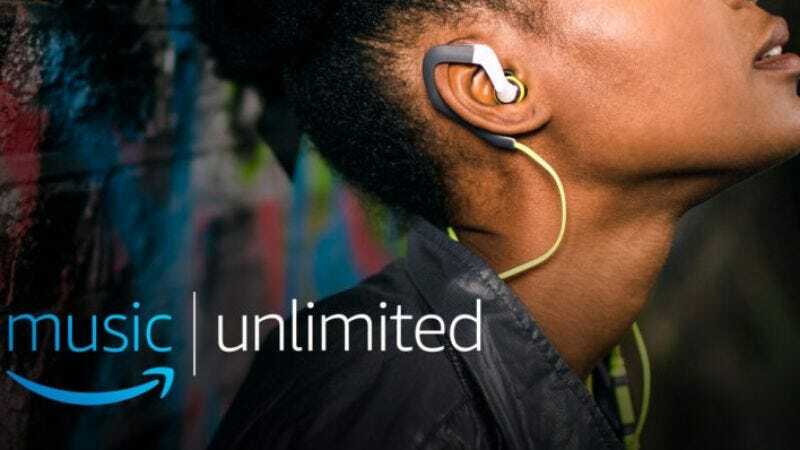 Amazon Unlimited Music is available on iOS, Android, and desktop, and boasts a song catalog of “tens of millions” of tracks. Additionally, there are behind-the-scenes artist commentaries and, of course, curated playlists. Now, non-Prime users can sign up for $9.99 a month, which is competitively priced with Spotify, Apple Music, and even Tidal subscriptions (assuming you still have one). But Prime subscribers (who are already paying $99 annually for that membership) pay a monthly fee of $7.99. Echo users—whoever you are—will pay only $3.99 a month for Unlimited Music, but for that price, the service is only available on that device. The new standalone streaming service is now live in the U.S., and will hit the U.K., Germany, and Austria later this year. Amazon will also eventually offer family plans (up to six people) for $14.99 a month.